AlJurf adds a new layer of beauty to the existing landscape. For those looking to escape from the fast-paced bustle of the city; it offers a tranquil getaway - inviting stunning intervals of nature into every home, and ushering in a new concept of community living. AlJurf seamlessly integrates with the natural environment, protecting our heritage and become the seed for Sahel Al Emarat. Refined architecture blends with its environment in undisrupted harmony. 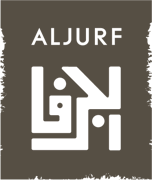 Aljurf Gardens skilfully incorporates architecture, inspired by local culture, with nature, taming the wilderness of the natural habitat of Aljurf. Throughout the villa spaces, the refined and controlled raw beauty of nature is repeated in different scales, to showcase its exquisiteness across every typology of homes, gardens and courtyards. Inspired by a collection of desert tents, your Budoor Villa design is open and linear as it progresses from one room to the next. Just as Arabian tents clustered around a central oasis your villa knits together multiple rooms offering privacy, light wells and open areas. Here is a contemporary space for your family to grow. The Joud Villa pays homage to, and reinterprets, the tradition found in Arabic homes in the region. Courtyards, majlis and maqa’ads create rich and layered spaces for your family. Your villa tames the wild natural setting of AlJurf, with water features, natural lighting, levelling and landscaping creating a transition to the surrounding lush greenery. Live on the boundary where the old meets the new, where the rugged embraces the refined. Your villa is carefully designed to blend in the natural and raw beauty of its surrounding. Rabia offers a modern twist as the base of the building in stone is a contrast to the refined interior and contemporary living spaces. At the heart of the historic site of AlJurf, Jiwar Alqasr is a unique gathering place for the residents and vistors. The area boasts a world-renowned wellness clinic and retreat, a boutique hotel, town centre and additional amenities. Modernity meets tradition in a destination that offers a new concept of living in a unique setting of Arabian culture. Residences on the sea, along the pier, and in the marina, offer a unique, marine-based living experience at Marsaljurf. The gateway to the beautiful waters of Sahel Al Emarat, Marsaljurf ’s pier, marina and the water canals, come together to create a place of life, that will survive the test of time.